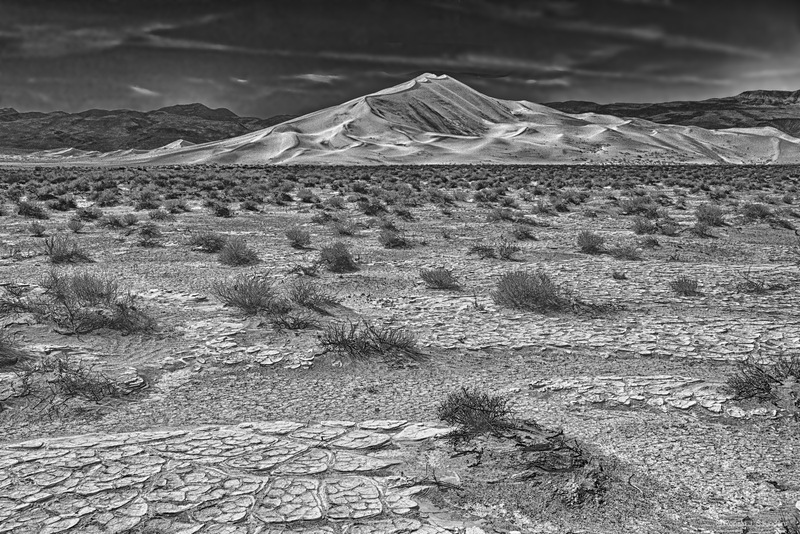 The Eureka Valley Sand Dunes are located in the southern part of Eureka Valley, in northern Inyo County in eastern California and are a part of Death Valley National Monument. They appear as a thick meringue above a crust of earth. Photo © copyright by Ronald J. Saunders.